If you’ve been following our blog this year you may be aware that 2012 is the National Year of Reading. Australia voted on the eight books that make up this year’s NYOR collection, and libraries all over the country have hosted various competitions and events to promote reading. 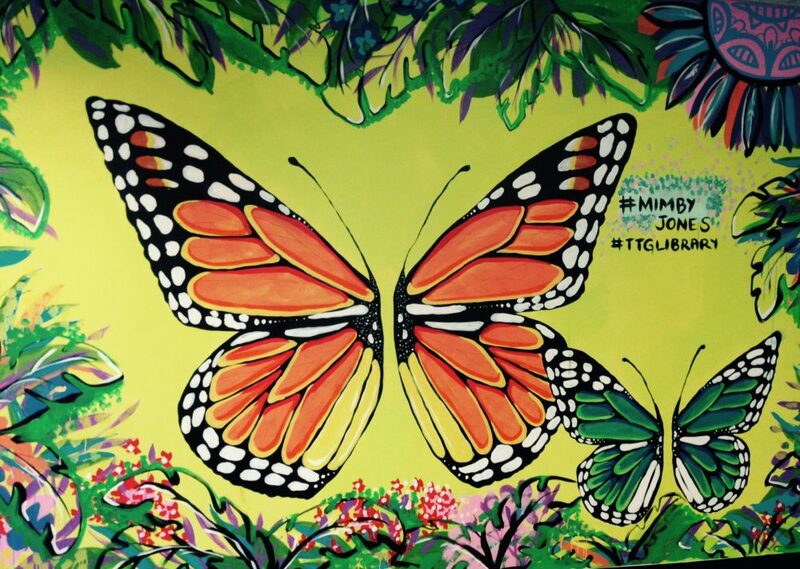 Click here to see how we’ve been getting involved. Here’s a great National Year of Reading video promoting literacy in early childhood. Reading to your child for just 10 minutes a day can make a huge difference in their reading and communication skills, so come to the library and pick out some great books today. Here are some books our staff members have been enjoying lately. There’s a bit of everything – fantasy novels, cookbooks and revisiting classic children’s books to name a few! Click the titles to find them on the catalogue and place a hold, or try using one of our online resources to find something great to read. Has it been a while since you actually visited the library? Check out this video voiced by our National Year of Reading patron, William McInnes. Monday was a perfect day to be outside enjoying the sunshine, and it proved an excellent backdrop for the National Year of Reading Read Mob event held in Civic Park. 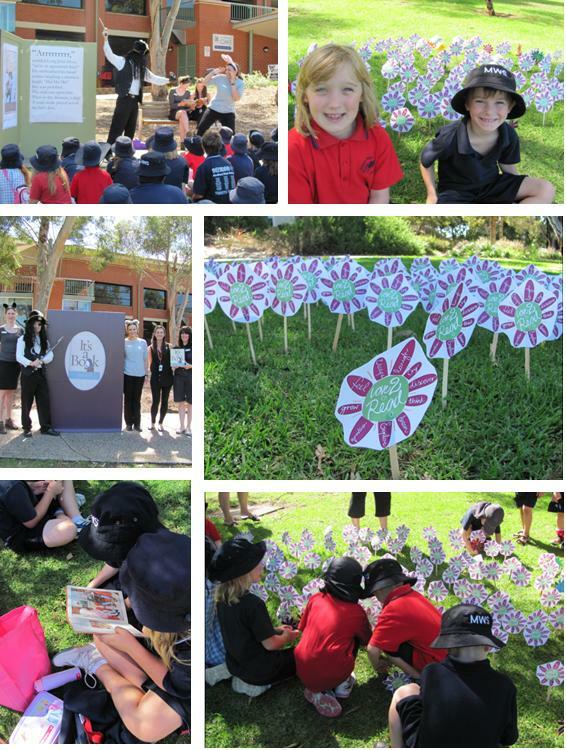 The event kicked off when over 80 primary school students, as well as parents and staff, gathered in the park with their favourite read, while simultaneously other groups were hosting their very own Read Mobs all over South Australia. All of the participants celebrated their love for reading by planting a National Year of Reading flower, creating a gorgeous artistic display! The highly talented (arguably…) Children’s and Youth Services team put on a stellar performance of author Lane Smith’s picture book “It’s a Book” and our resident pirate, Stephen, was a huge hit with all the kids. Our Read Mob was a fun and successful day so a huge shout out to all those who got involved! This week is Library Lovers Week as well as the launch of National Year of Reading 2012. To celebrate the Library Lovers aspect we are again running Blind Date with a Book. You can take home a book wrapped in brown paper, for a surprise ‘date with a book’. The brown wrapped books are on a display in front of the Customer Service Desk in the Library. The only thing you can see is a barcode and a genre sticker. That is all. Take a chance and borrow one. Could be a match made in Heaven! I’m very proud to be a librarian and I’m a huge supporter of life long learning but I’m sad to say – I just don’t read enough! However, if there was any year to get myself into gear it would be twenty-twelve for it is the National Year of Reading. Inspired recently by some very clever women out there I have a theme to my recreational reading pursuits – “Beginnings.” I’ll be searching out first novels by cult authors Julian Barnes and Martin Amis, and, reaching for debut novels that are released this year by Australian authors. 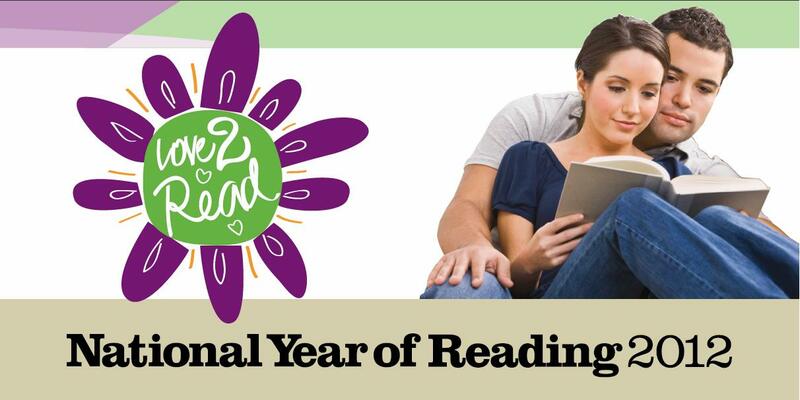 Celebrate and participate in the National Year of Reading however you choose but if you’re looking for somewhere to start Public Library Services is hosting a launch on Tuesday 14 February from 12pm under the Gawler Place Canopy in Rundle Mall, Adelaide. Included on the list of guests is the charming Mem Fox who will be reading from one of her famous books. 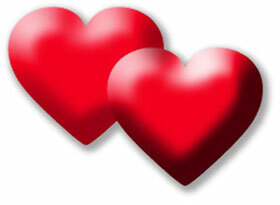 So scrap all of your Valentine’s Day plans and get literary with your fine self. You can find all of the official details here. Good Reading for $5? Bargain! 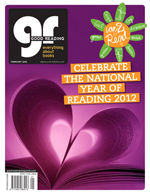 This month Good Reading Magazine is celebrating the launch of the National Year of Reading with a bumper edition. Get your copy of this special magazine from the Library for just $5 (normally $8.95) to read their interview with Marion von Adlerstein about the role of women in advertising, browse the books that define Australian life and meet Australia’s first Children’s Laureates. Plus, read about how books are changing the lives of prison inmates, find out how you can help to improve Indigenous literacy and discover why reading for an hour a day will strengthen your bond with your family.